Wouldn’t it be great if art sold itself? If you have tried to sell art, you know it doesn’t. Selling art takes effort and skill. Jason Horejs has been in the gallery business for over 18 years and has owned Xanadu Gallery in Scottsdale, AZ since 2001. 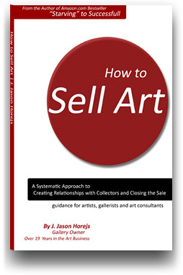 In his new book, How to Sell Art, Horejs shares the entire selling process he and his staff employ when making a sale. From introductions, to creating a compelling dialogue, to closing a sale and beyond. Horejs gives you concrete, step-by step instructions that will help you tap and develop your inner salesperson. As with any other skill, you can increase your sales success by taking a systematic and consistent approach. 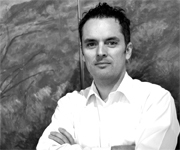 How to Sell Art will help you take your art salesmanship to a higher level. As an artist, you will have many opportunities to sell your art, whether it's directly to a customer at a studio tour or weekend art show, or through a gallery at an opening. 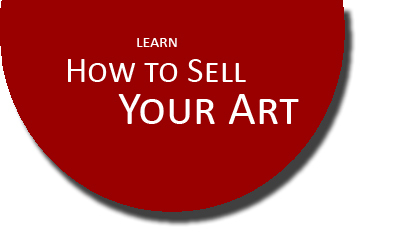 Order How to Sell Art today and become an expert at building relationships with potential buyers and closing the sale. 1. How to start off on the right foot. The first sixty seconds can make all the difference when you are interacting with a buyer. Make sure you are giving the right first impression. 2. How to learn your client’s names. No more excuses – it’s time to become a master of names. Learn techniques that will help even the most artistic of minds capture a name like a steel trap. 3. How to offer the client an opportunity to buy. If you aren’t giving the client a chance, they are never going to buy. Make sure you are saying the right thing at the right moment to close the sale. 4. How to negotiate like an expert. Selling art is not like selling used cars, but there will, inevitably, be times when you need to negotiate with a client. Negotiation is a delicate process. Learn how to expertly navigate a negotiation and make sure that both you and your client come out winners. 5. How to follow up persistently without being irritating. If you aren’t able to close some sales on the spot, that’s OK – you can still secure a sale by consistently and persistently following up.Some clients need a little time to get to a point where they are ready to buy, but if you don’t follow up they are likely to simply forget about you and your work. 6. Create Fans. The sale isn’t the end of the sales process, it is only the beginning. Turn buyers into collectors with post-sale follow up and systematic communication. Order together with Jason Horejs' best-selling first book "Starving" to Successful and save $15.40, plus get free shipping on both books. I thought you'd like to know that I took a booth at the Architectural Digest Home Design Show and extended my hand to every single person who stepped into my booth - and there many - and introduced myself just as you suggested. As the days went on (4) I kept thinking of your advice and how it worked like a charm! I sold 4 pieces to a gallery in CT, made other gallery connections with an invitation to show in NYC, negotiated a more desirable contract with one in Toronto and met tons of interior decorators and designers. I've never experienced anything quite like this. I can't thank you enough for sharing your knowledge with us! I used your suggestion last night and invited two interested buyers to an opening at Maple & Main Gallery in Chester, CT, to buy my paintings. They did! I sold two pieces last night!